We are so excited to announce the expansion to the MG Press catalog in 2016 with the release of three new titles! We hope you’ll celebrate along with the authors, and us! And thanks, too, to Lauren Crawford for the unbelievably gorgeous cover designs! In John McCarthy’s debut collection, lifetimes are spent traveling in pickup trucks across the Midwest, exploring spaces between love and its imperfect manifestations. 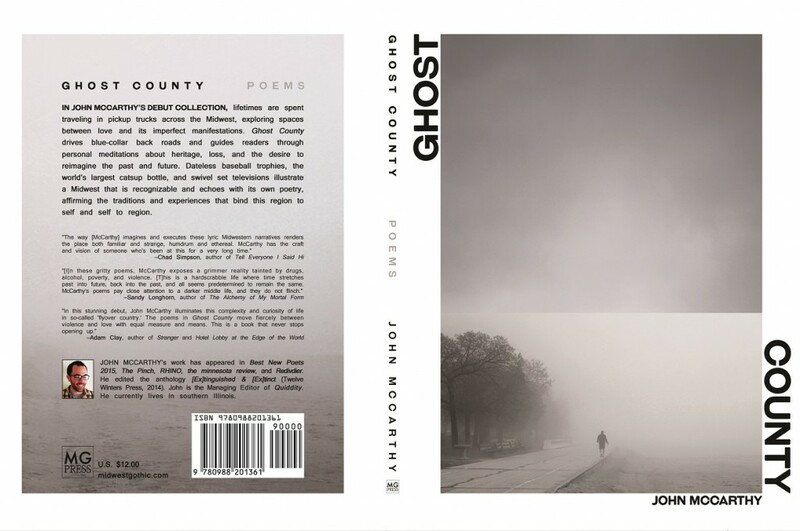 Ghost County drives blue-collar back roads and guides readers through personal meditations about heritage, loss, and the desire to reimagine the past and future. Dateless baseball trophies, the world’s largest catsup bottle, and swivel set televisions illustrate a Midwest that is recognizable and echoes with its own poetry, affirming the traditions and experiences that bind this region to self and self to region. In the lush countryside of Wisconsin, Jean Krenshaw is the ideal 1960’s dairy farm wife. She cooks, sews, raises children, and plans an annual July 4th party for friends and neighbors. But when her brother-in-law Tommy, who lives next door, marries leery newcomer Liz, Jean is forced to confront a ten-year-old family secret involving the unresolved death of a young woman. 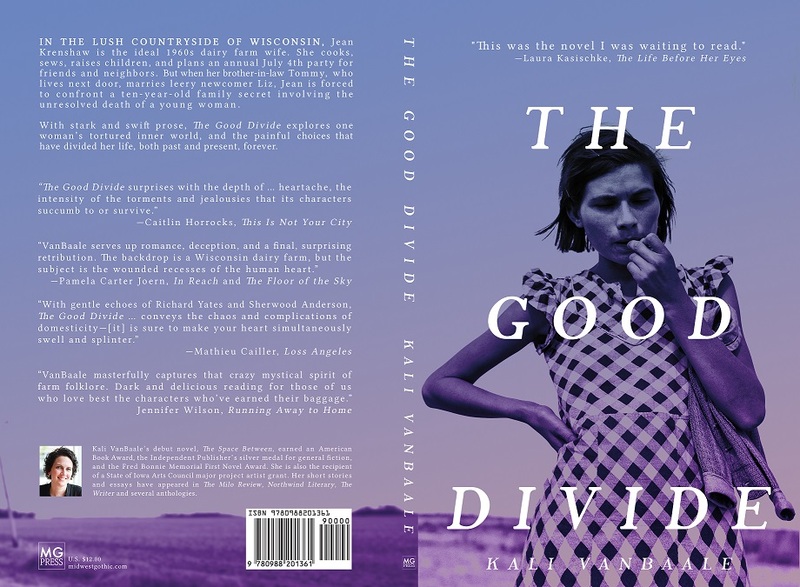 With stark and swift prose, The Good Divide explores one woman’s tortured inner world, and the painful choices that have divided her life, both past and present, forever. The follow-up to Shonkwiler’s acclaimed Above All Men! Samuel Parrish is a heel, tasked with keeping the streets clear of meth and bootleg liquor by an abandoned Midwestern city’s only source of order: 8th Street Power & Light. While he’s tracking down criminals most nights, Sam lives it up others, drinking, fighting, and falling for his best friend’s girl. But when Samuel rousts a well-connected dealer, he begins to uncover a secret that threatens to put the city back in the dark. Find out more about our MG Press titles here.